This is a project that has been looming pretty much since the day we bought the house. 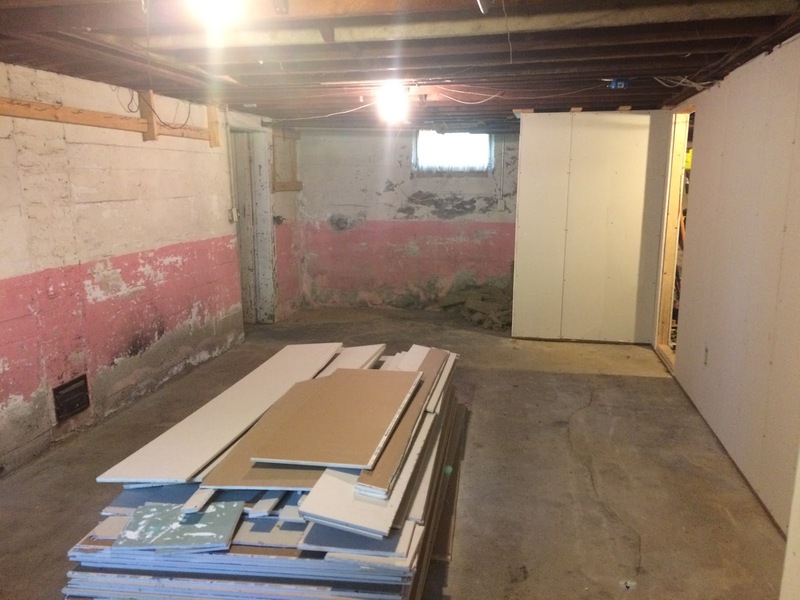 It’s also a HUGE step forward in building out our garage. I’m super excited it finally is done, though it is far from the sexiest or most exciting project we’ve done. 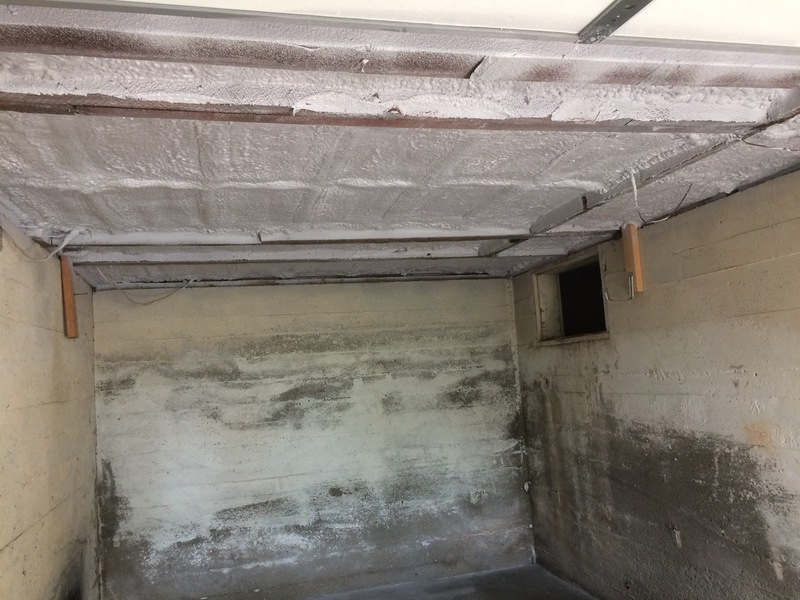 Essentially, we got 6″ of spray foam insulation in one garage & underneath the future man cave, and 1″ of air-sealing insulation in one garage & the root cellar. 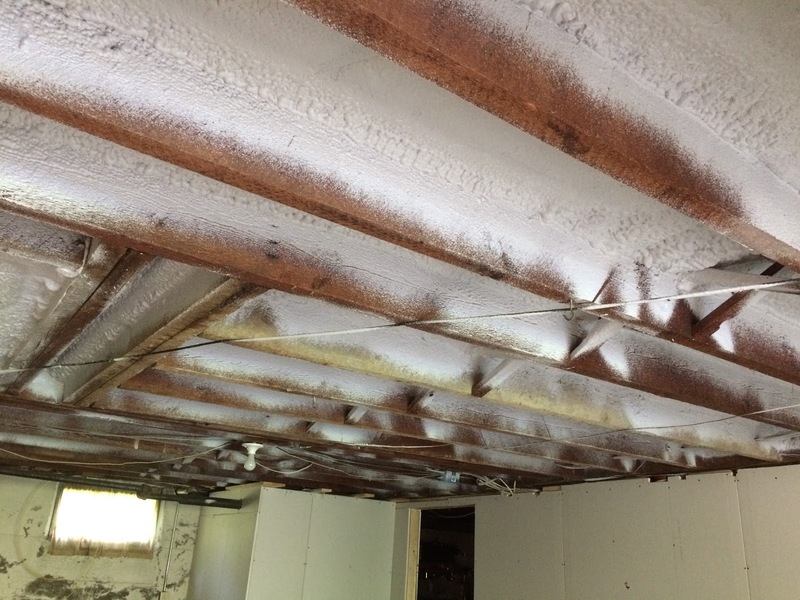 The 6″ of insulation will serve as both an air barrier and as proper insulation. The 1″ will be our vapor & air barrier to prevent moisture from migrating up to the sealed off house above as well as providing an extra level of air sealing to keep nasty things like carbon monoxide from the cars from getting into our living room. I’ve agonized for months, maybe even years, over just how to structure this so that it meets our needs, gets us the best results for keeping the house warm in the winter, and doesn’t bankrupt us. 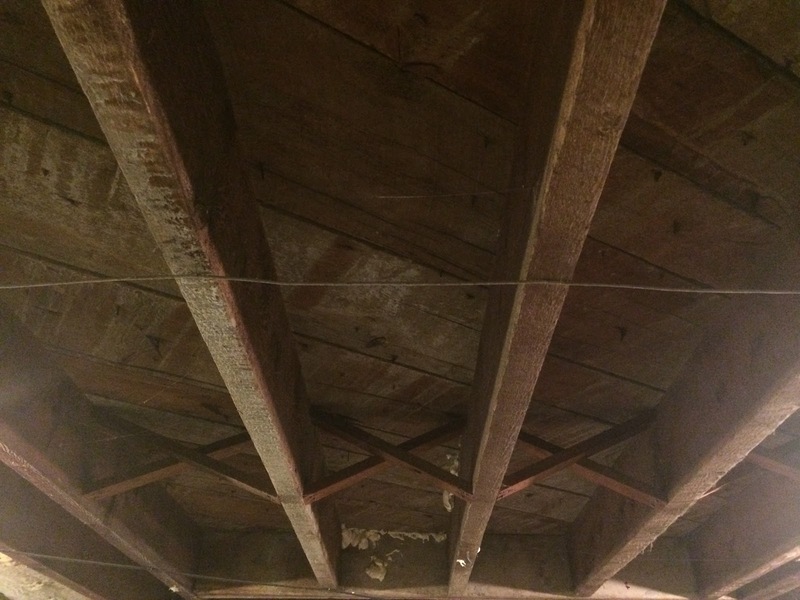 The original attic insulation project was $12,000, done with money leftover from the purchase. 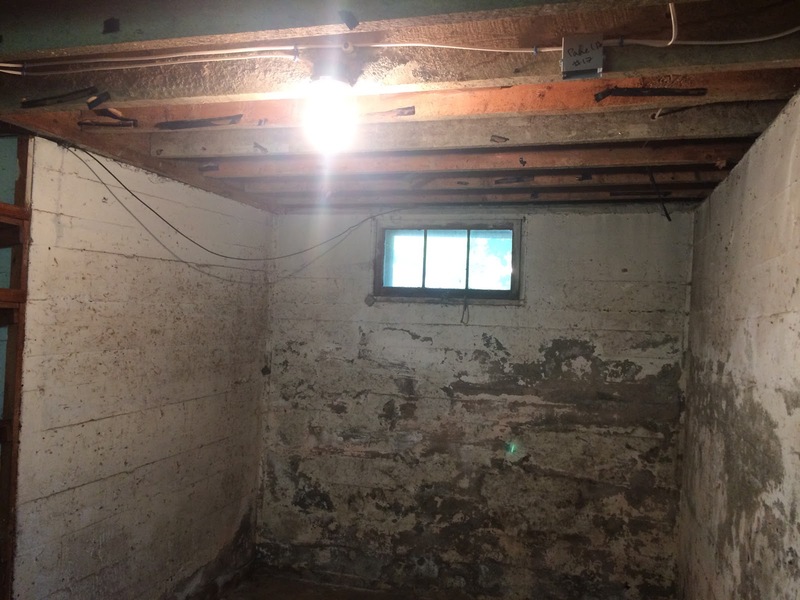 For this project, we got an extremely low-interest loan designed specifically for energy efficiency projects and our projected cost is $4,000. I’m thrilled so far. We’re one huge step closer to completing the garage, and we’ve made a huge dent in the overall comfort level of the house in winter. 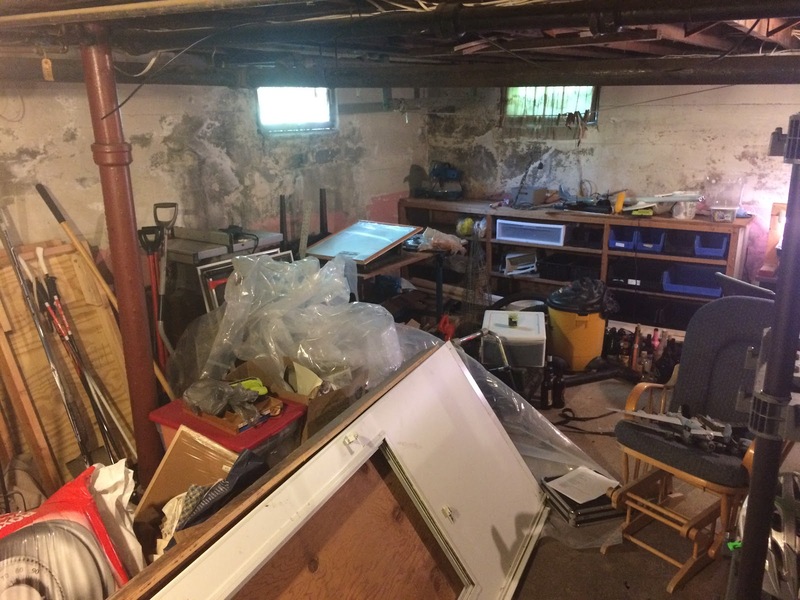 I’m not too upset: a big part of the reorganization was making sure everything had its right place, and now the work will just be in putting things back. Time-consuming, but not nearly as onerous as organizing in the first place.